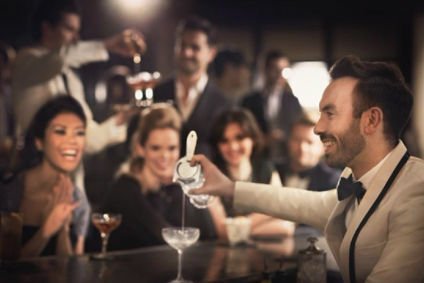 The world will have 400m new luxury spirits consumers by 2020, according to a new report from Diageo. The Future of Cocktails, which was produced as part of the firm's bartender competition World Class, said cocktail culture has spread beyond the traditional confines of New York and London. In the past five years, the firm said, consumption of spirits has risen by 26% in Africa and the Middle East, 15% across Asia and 22% in China. 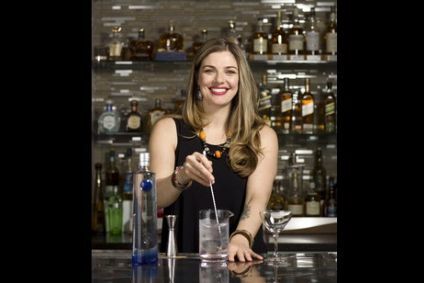 "Cocktails are leading the way on a global scale with bartenders experimenting with ingredients and playing with technologies to satisfy the senses," Diageo said. "But in a world where we are constantly looking for the next big thing, they need to be one step ahead of the game." Cocktail menus are evolving beyond traditional cocktail names. Bars such as Trick Dog in San Francisco are using more conceptual descriptions such as astrological signs and Pantone colours. "In the next decade, look out for bars that ditch the traditional menus and list their cocktails by mood instead. Drinks will be tailored to conjure a specific emotion - you may be given a red cocktail to stimulate confidence, a yellow one for friendship or a black drink for discipline." Cocktails are also being used to tell stories, the report said. In the bar world, this means catering for drinkers who reject conformity, Diageo said. "Bartenders are now using 'gender neutral' language to describe, name and serve cocktails"
Bartenders are often multi-skilled, with functions including chef, barista and patissier. "Cocktails have evolved far beyond their classic form of a mixed liquid in a glass," said Tom Savigar, senior partner, The Future Laboratory. "Creative bar staff equipped with the latest ingredients, technologies and ideas are changing the whole concept of the cocktail - and leaving us all thirsty for what comes next." Visit theworldclassclub.com to read the full report.